It's no secret that Mega Man Soccer was sold as an unfinished game. Several features were dummied out of the final version – most notoriously, the game's ending cutscenes and the ability to play as Dr. Wily. 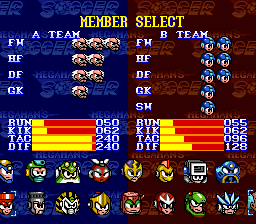 And now, thanks to a fellow named "Q", we can finally enjoy Mega Man Soccer as originally intended. "Q" released a new hack to Romhacking.net that, when applied to Mega Man Soccer, restores the endings for Championship and Tournament mode. You can see what those look like here and here. The hack also lets you play as Dr. Wily in Exhibition mode and provides you with total control over the game's Time and S.Shoots from the Options menu. You can set the latter to 99, even. The hack can be found here. 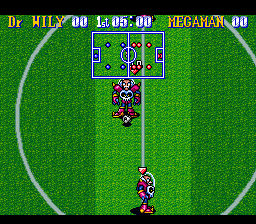 As for Mega Man Soccer itself, well, that shouldn't be too hard to find. Or maybe? I dunno. Do your thing, guys. So yeah; Mega Man Soccer is now "complete". We still don't exactly know why the game shipped unfinished. It's honestly one question I'd love to ask Tokuro Fujiwara (aka "Professor F") given the opportunity. Thanks for the tip, Jo Li! Was waiting for the day someone finally did this. Very cool. Maybe someone will make some repro cartridges with a "complete edition" moniker. Would be worth the buy for a complete collection. I'm calling the copyright police. Neat! I seriously loved this game as a kid. It's simple, but the appeal of the robot masters hanging out and just having fun together was too good to ignore. Also, it had glorious 16-bit graphics...before Megaman 7! Lets see them hack back in the 4 player mode. That would be really impressive. THIS is what I was hoping to see. Not that this isn't cool or anything. 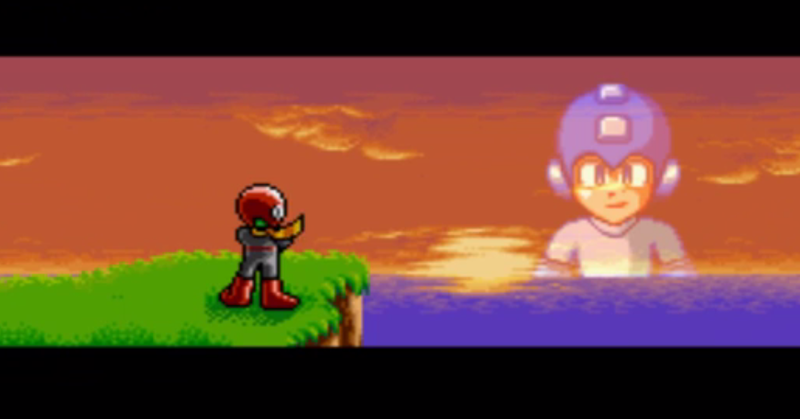 I don't remember which interview it was that say something like they intended to make Rockman Soccer 2, that's why some of the robot masters are not included in this game. The interview might be in one of those megamix/gigamix books or MM25, not sure which one. "We still don't exactly know why the game shipped unfinished. It's honestly one question I'd love to ask Tokuro Fujiwara (aka "Professor F") given the opportunity." Capcom was just trying to make a cheap cash-in using the Mega Man name for a sports title. Whatever you can stick your moneymaking character in gets made.